WSJ、AppleがMacBook Pro/Air (2018)で採用している第3世代バタフライ構造のキーボード問題をYouTubeでも公開。 | AAPL Ch. 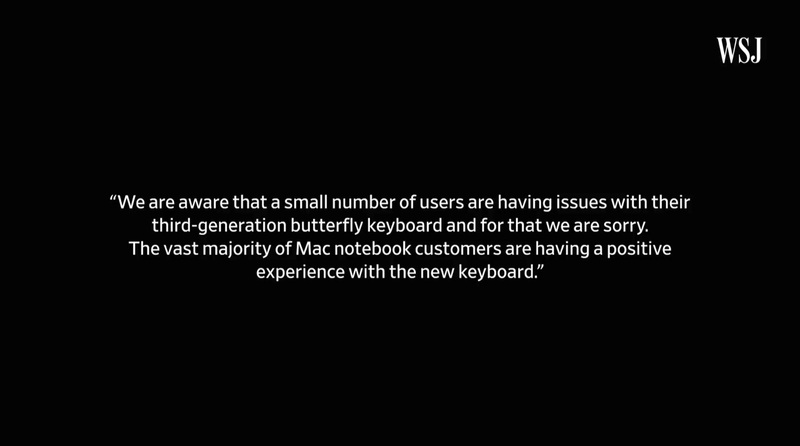 The third generation of the butterfly keyboard on Apple’s Mac laptops was supposed to fix all the problems. But nope. WSJ’s Joanna Stern explains why the keyboards on the newest and most expensive MacBooks keep breaking—and the few things you can do about it.